Please join Whitworth University for the eighth annual Leonard A. Oakland Film Festival, Feb. 20-22. 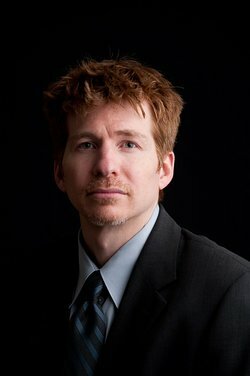 This year’s 7 p.m. showings will feature alumni filmmakers, an international film, and an evening about faith and film led by Matthew Rindge, Ph.D., professor of religious studies at Gonzaga University and author of two books and dozens of articles and chapters on the Bible, religion, and popular culture. Rindge will discuss his second book, Profane Parables: Film and the American Dream (due out in April), and will introduce the festival’s final film, Fight Club, which is featured in his book, on Monday, Feb. 22, at 7 p.m., in Weyerhaeuser Hall’s Robinson Teaching Theatre at Whitworth University. This event is free and open to the public. For the complete 2016 film schedule, please visit www.whitworth.edu/oaklandfestival. For more information about Whitworth’s annual film festival, please visit this site: Leonard Oakland Film Festival. Rindge currently teaches Bible and Film, Life and Teachings of Jesus, and Bible and Ethics, and chairs the Bible and film section in the Society of Biblical Literature at Gonzaga University. He has also taught at Emory University, Candler School of Theology, and Columbia Theological Seminary, all in Georgia, and in six Asian, Latin American, and European countries. Rindge is the author of two books, Jesus' Parable of the Rich Fool: Luke 12:13-34 among Ancient Conversations on Death and Possessions (Society of Biblical Literature, 2011), and Profane Parables: Film and the American Dream (Baylor University Press, 2016). He has written numerous scholarly articles and is contributing writer for both SpokaneFāVS and Huffington Post. Kelsey Bumgarner, assistant director - donor relations, Whitworth University (509) 777-4605 or kbumgarner@whitworth.edu.